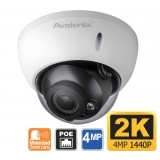 4 Megapixel IP Cameras are network based security cameras that are capable of providing video resolutions up to 2560 x 1440 pixels which is 30% greater than HD 1080p. 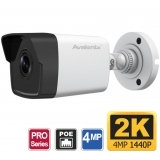 Please click the adjacent image to view the difference between 4MP vs 1080P vs 720P. 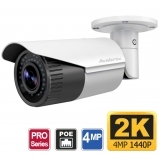 Like all the equipment we sell here at CCTV Camera World, we have tested these 4MP Security Cameras and found they offer amazingly clear video that allows for facial recognition up to 50ft with a standard 3.6mm lens that provides 84 degree angle of view. 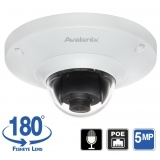 If you consider 1080P security cameras, they only offer 25ft of facial recognition at a 80 degree view in lit conditions. It is important to note for novice users that higher resolution video recording required more hard drive space. 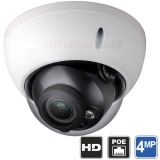 In the case of these 4MP IP cameras, we suggest recording them at a bit rate of 8Mbps. 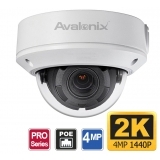 We have a variety of 4mp cameras to choose from, including bullet and dome cameras. 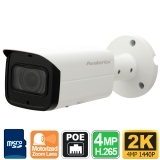 Most cameras are weather proof rated to IP66 standards, making them suitable for use outdoors in any weather without need of shelter above. 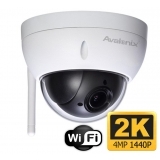 Like all IP cameras that we sell, they have RJ45 connectors, and use CAT5e or CAT6 network cabling. 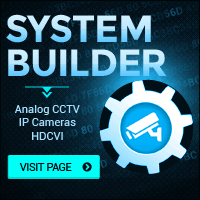 These cameras can powered using a PoE network switch, a IP camera NVR recorder, or independent power adapters located next to the camera.